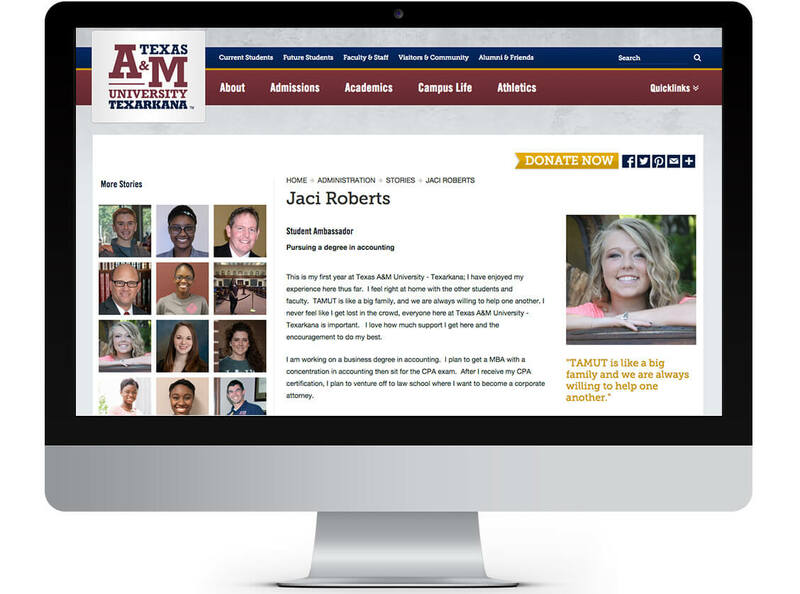 Texas A&M - Texarkana is a regional university and a member of the Texas A&M University System. Founded in 1971 and with approximately 1500 students, the school offers several undergraduate and graduate degree programs primarily in Business, Educations and Liberal Arts, Science, Technology, Engineering and Mathematics. 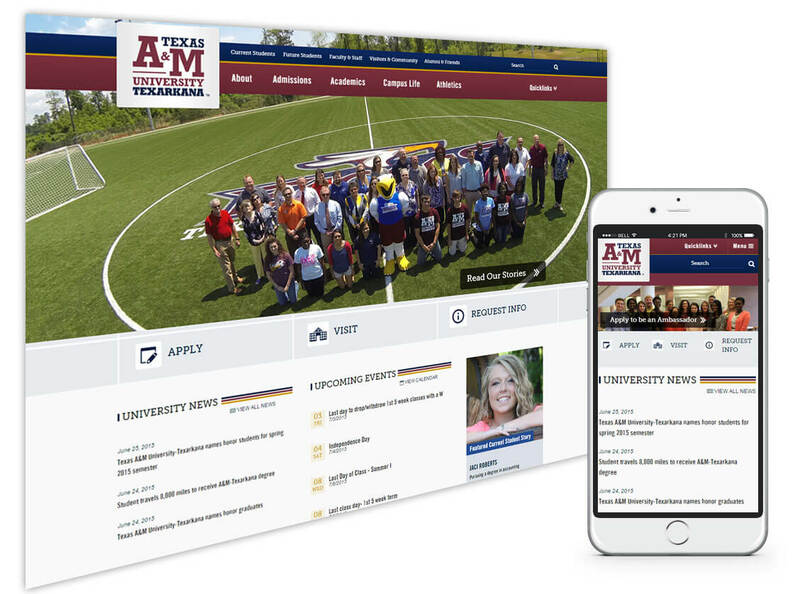 The Texas A&M - Texarkana engaged Beacon to update the look and feel of their website, which was 2 years old. 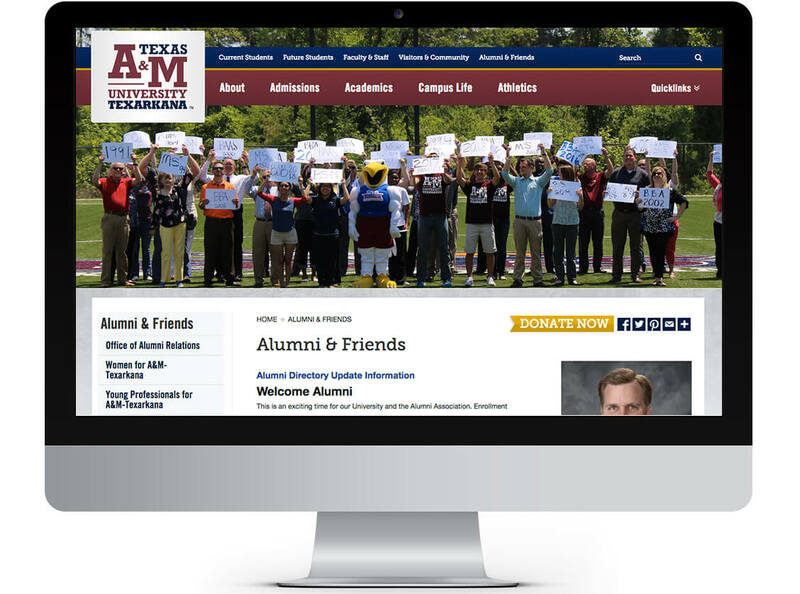 The primary goal of the redesign was to make the site more of a recruiting tool. So the imagery and creative design was a main focus point in order to drive engagement through a better user experience. The new website contains a lot of beautiful images that showcase the campus and the people, bringing the campus to life online. In addition, improvements were made to the site calendar functions and calls to action ("Apply", "Visit", "Request Info") were made more prominent. The new design is clean and Cascade Server makes it easy to update. The website balances a very professional look and feel with a friendly atmosphere where faculty are involved with students. The previous website was used more for internal purposes (finding information), so this redesign also moved much of this type of content to an intranet site. Beacon walked their staff through the process, which including gathering requirements, developing a Site Hierarchy Diagram (e.g. Information Architecture), wireframes for the calendar application, custom responsive design mockups (15 total page designs), followed by development of multiple templates within Cascade Server CMS. Of course, plenty of time was allocated for design/review iterations and testing along the way!